Window film has many advantages, including reducing your carbon footprint. These days, there are so many products and companies out there trying to make the world an eco-friendlier place. This is fantastic news for the planet, but you might be wondering where to start when it comes to your own home or commercial property. One of the best things you can do in terms of both energy efficiency and cost-savings is actually something fairly simple: allow our experienced team here at Sundown Home & Office Window Tint, Blinds & Shades to install window film on your property! Because as much as 70% of our energy loss is lost through the glass in your windows, window film can dramatically reduce your energy loss as soon as installation is complete. Window film, both residential and commercial types, works to diffuse light, protect your interior from damaging or bleaching UV rays, and help keep your space at a more consistent temperature. 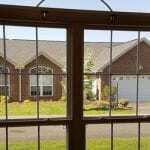 All of these advantages can lead to cost savings that you can use to offset the cost of window film installation. Window film is nothing like the terrible window tinting that is filled with bubbles or scratches that you might see on passing cars. With our professional installation, your window film will be silky smooth and look like it has been factory installed. In fact, many people don’t notice their window film at all once it has been installed; they only see the soft, diffused light and don’t miss the glare on the television or computer at all! We would love to tell you more about our window film choices for your property. Please give us a call here at Sundown Home & Office Window Tint, Blinds & Shades today to learn more!